Get your entire home prepared for a lovely afternoon tea-time complete with delicious cookies, cakes and colorful decorations. 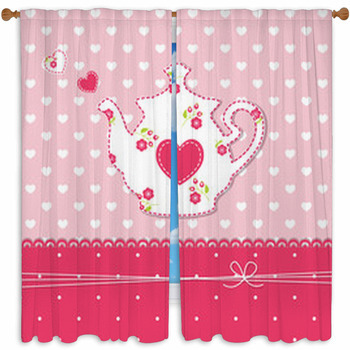 Our tea party window curtains present all the beauty and fine feeling of the perfect afternoon get-together. Tea parties have always been a way for people to spend relaxing leisurely time with one another underneath the sun and above platefuls of fabulous treats and steaming porcelain cups of tasty tea. 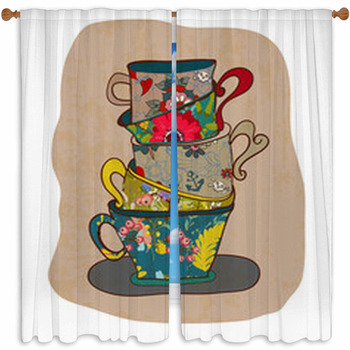 Go ahead and invite all your friends over and show off your new drapes and window valences with fun and vibrant tea party images and patterns. 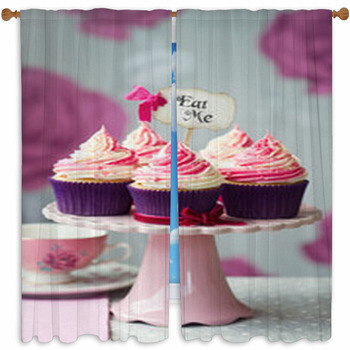 Even if you cant have a tea party every day, you can enjoy its pleasantness anytime with our custom size window curtains. Give your unique home a retro flair with our pastel toned patterns showing tea cups and kettles besides cakes and flavorful pieces of fruit. Bright tea cups painted with bursting floral patterns make great interior design patterns with a lively feminine feel. The single silhouette of a young lady sipping her tea is truly stylish. Indulge in your favorite dessert with a detailed photograph of a plateful of pink frosted cupcakes that is just begging to be eaten. 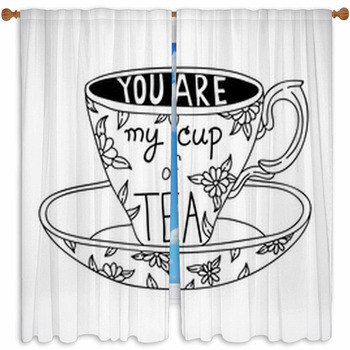 For an Indian style, we have drapes and window valences with your favorite frothy cup of chai tea upon which is perched a savory cinnamon stick. 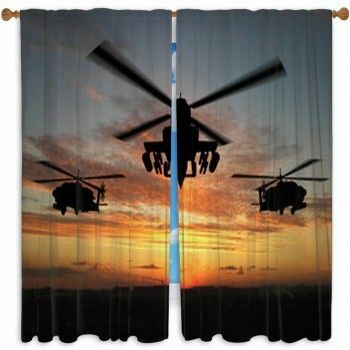 When your guests arrive, make sure the table is set and sunlight is pouring through your brand new tea party window curtains. 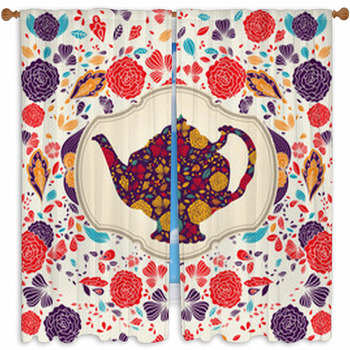 They will light up your entire home with the beauty of a well-planned tea party. 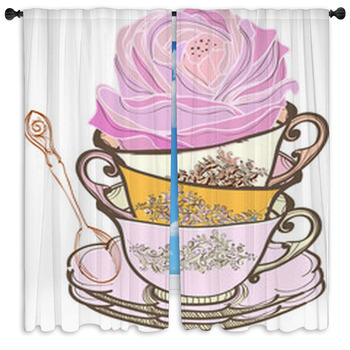 They match wonderfully with our tea party wall murals, wall art and tea party themed fabric to make your own table cloth or tea-cozy. You can make your home look just like your favorite scene from Alice in Wonderland without all the craziness of the Mad Hatter and March Hare.